The silent film, as Rodney Dangerfield would say, “gets no respect” and that is a shame for there are hundreds of really good films made during that era (1894-1929) which are largely ignored by today’s movie going audience. Among those unheralded treasures one will find producer Carl Laemmle’s masterpiece, The Phantom of the Opera. 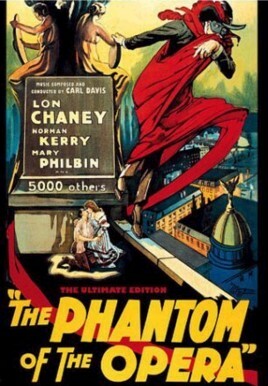 The film starred legendary actors, Lon Chaney, as the Phantom, and Mary Philbin, as Christine Daae and is considered the best version of Leroux’s gothic novel. The story is well known, a shadowy specter haunting the Paris Opera house falls in love with a young singer named Christine. The Phantom becomes mentor to Christine as well as guardian angel ensuring through murder and trickery that his young protege becomes the lead in the Opera house. The Phantom, known as Erik, is a tragic figure. Horribly disfigured at birth, he hides his face behind a mask. Because of his ugliness, he is unable to either reveal or to consumate his growing love for Christine. A talented composer, The Phantom is the author of a beautiful piece of music entitled, “Don Juan Triumphant”. Christine falls in love with a young man named Raoul which sets off the Phantom and he throws a temper tantrum and kidnaps Christine. Christine begs the Phantom to let her go and in a struggle, she rips off his mask to reveal his hideously scarred face. The de-masking of the Phantom is considered one of the greatest scenes in cinematic history. With the help of the Paris police, Raoul rescues Christine. The Phantom now realizes to his dismay that Christine truly love Raoul and he lets her go to retreat underground back to his hidden lair where he dies of a broken heart. The silent version of The Phantom of the Opera is in remarkably great condition. The music for it is very good and even if you are not a classical music fan, I can assure you that you’ll find the music of this film to your liking. 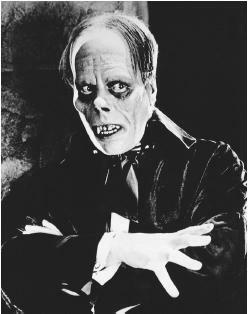 The Phantom’s makeup was created by Lon Chaney himself. When audiences first saw Chaney’s Phantom unmasked, it is reported that many fainted at the Phantom’s skull-like visage. 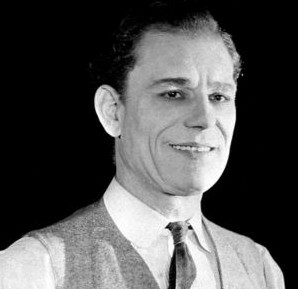 Lon Chaney is known in theater as “the man of a thousand faces” and would play other horror roles such as The Hunchback of Notre Dame (1923) and London after Midnight (1927). His son, Lon Chaney Jr, became famous for portraying the lead character, Lawrence Talbot, in Universal studios, The Wolfman (1941). You can find the full version of the 1925 silent film on YouTube here. This entry was posted on February 29, 2012 at 11:03 pm and is filed under horror films with tags lon chaney, phantom of the ooera. You can follow any responses to this entry through the RSS 2.0 feed. You can leave a response, or trackback from your own site.